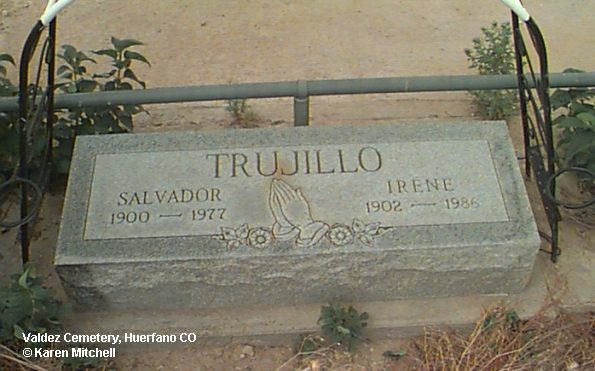 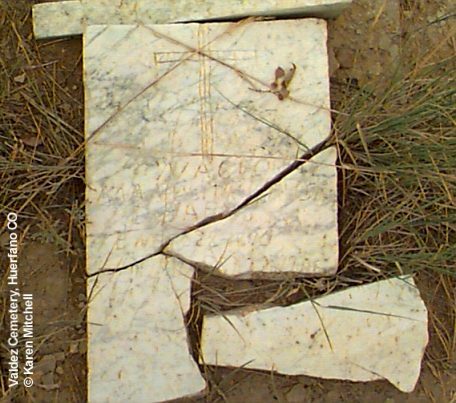 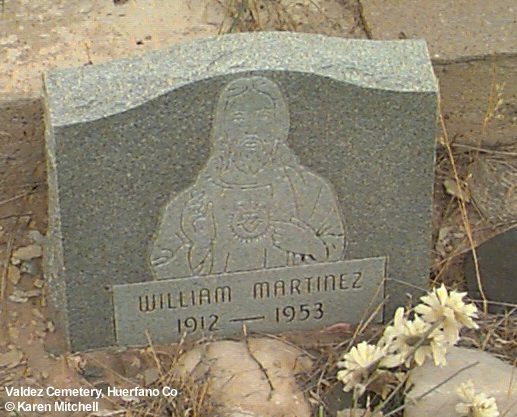 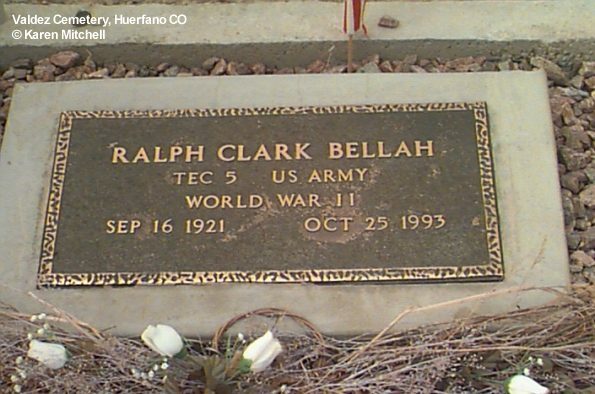 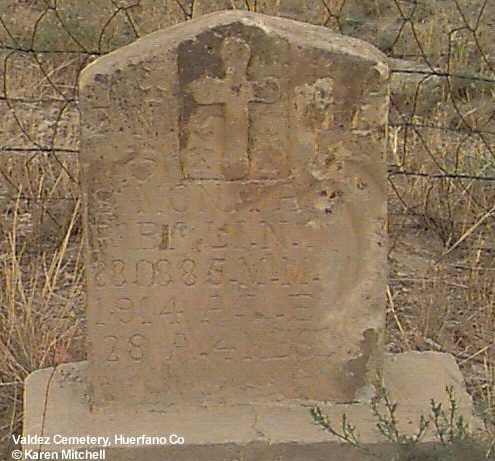 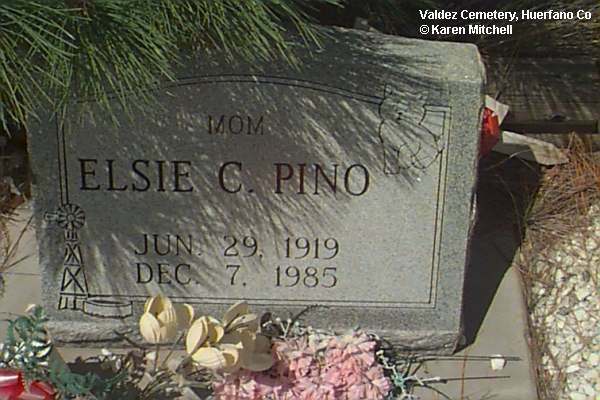 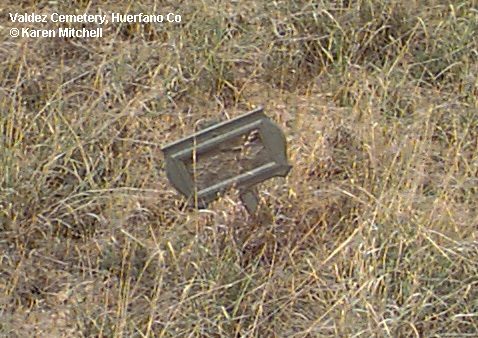 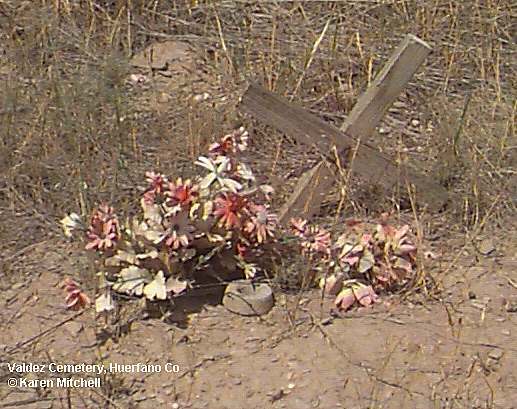 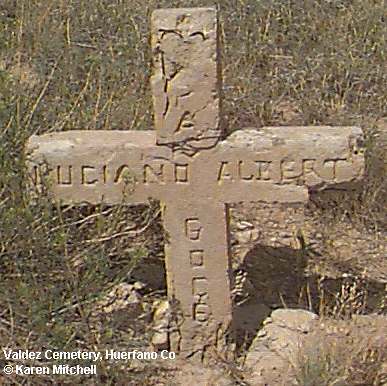 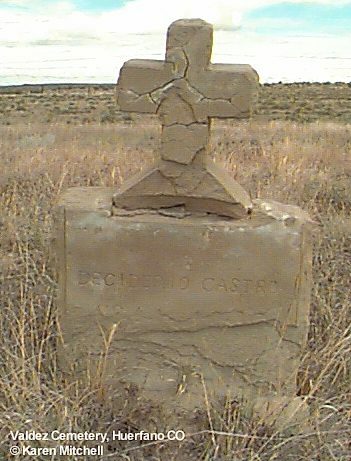 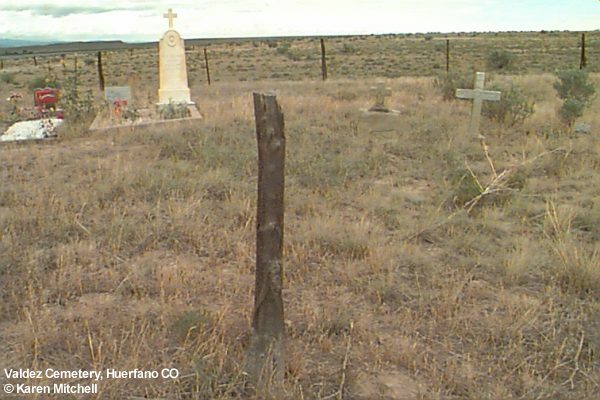 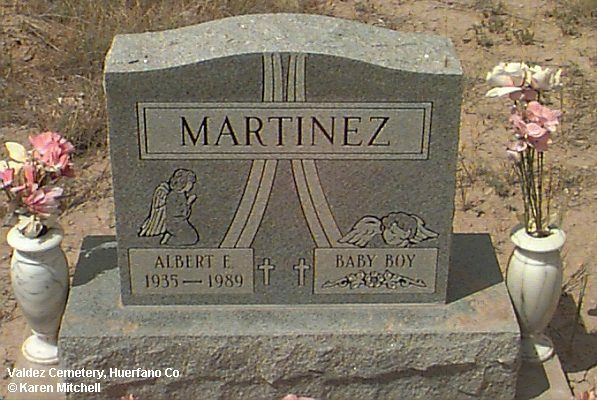 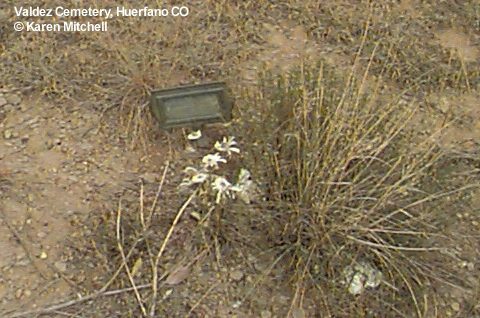 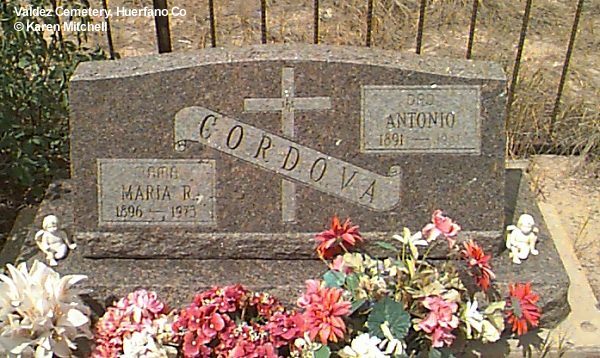 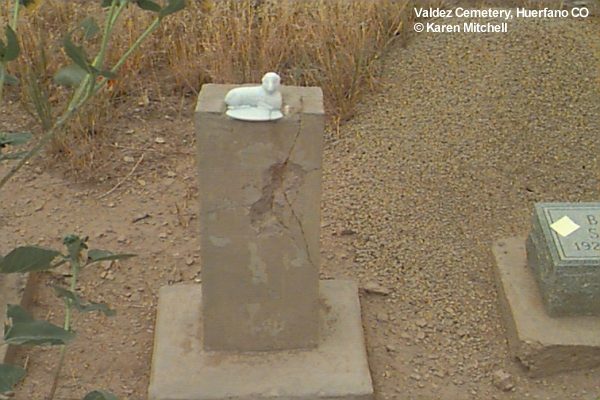 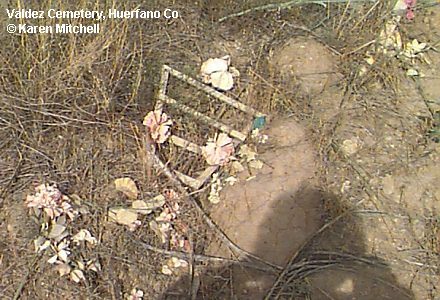 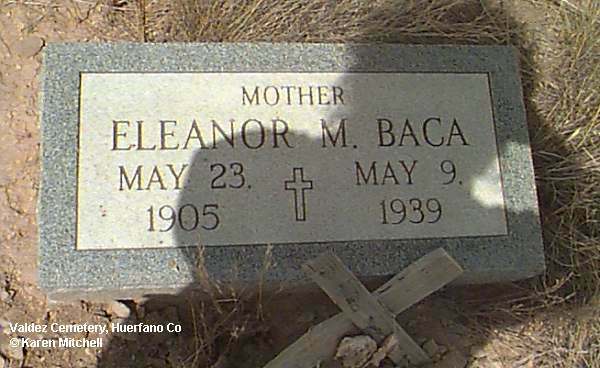 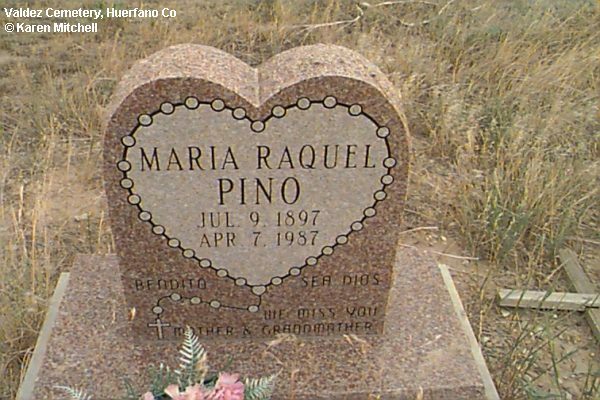 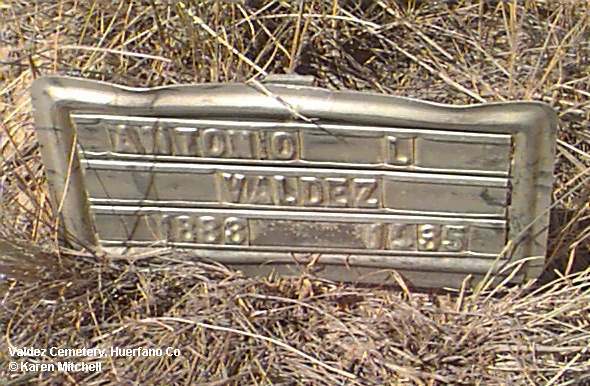 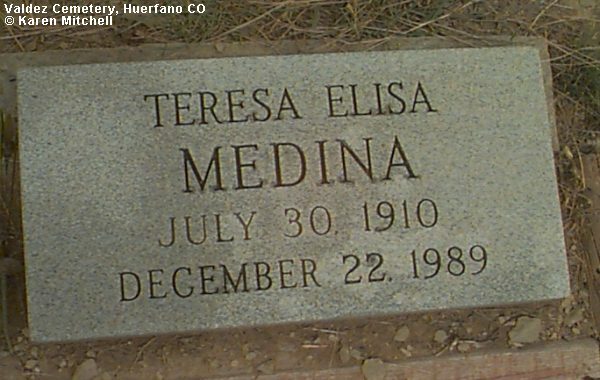 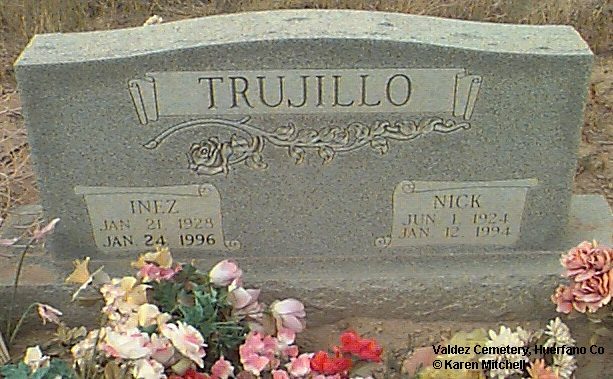 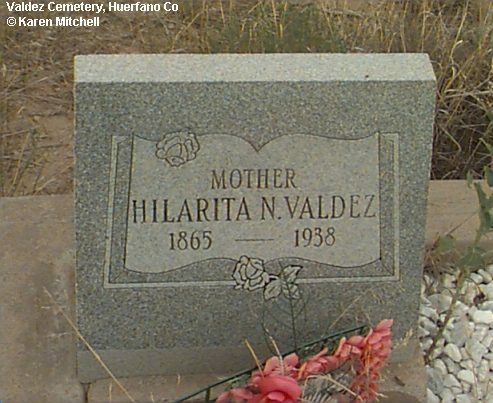 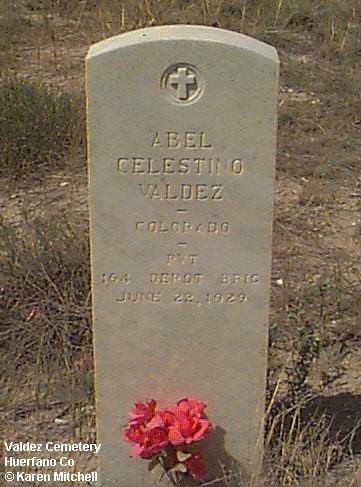 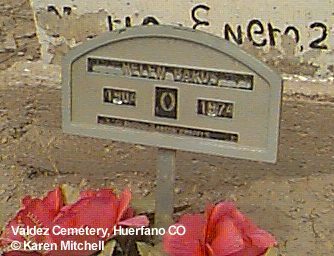 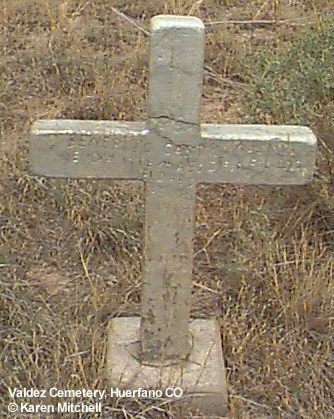 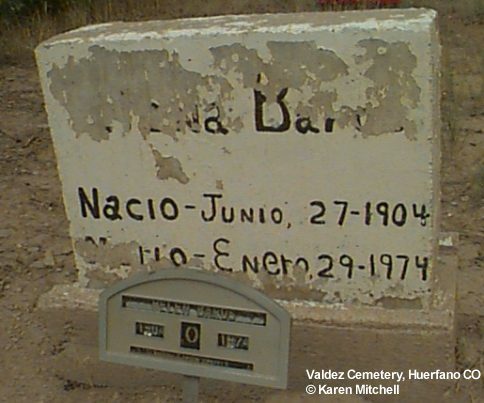 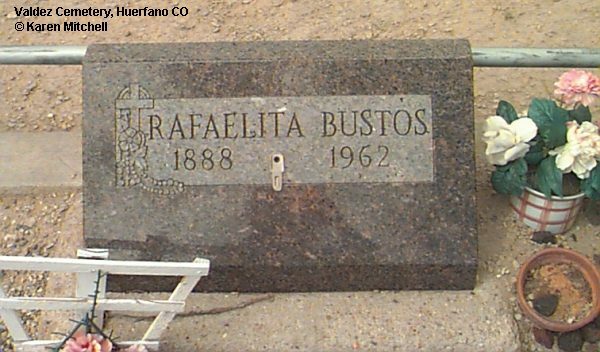 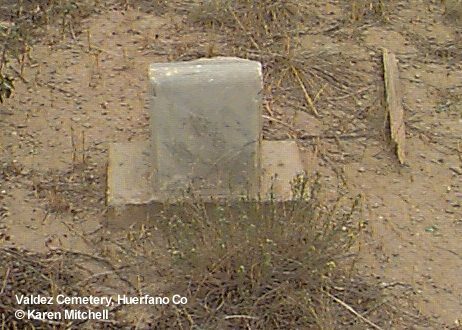 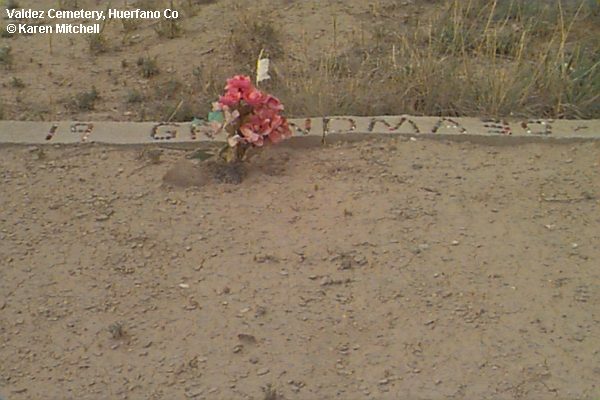 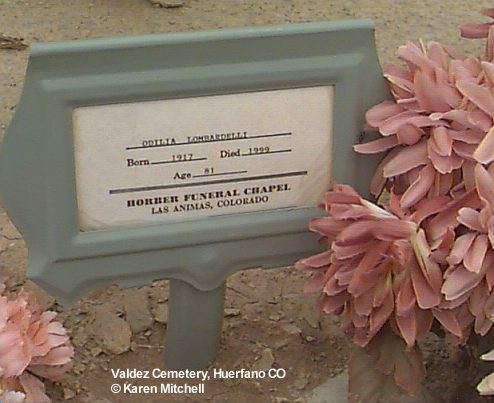 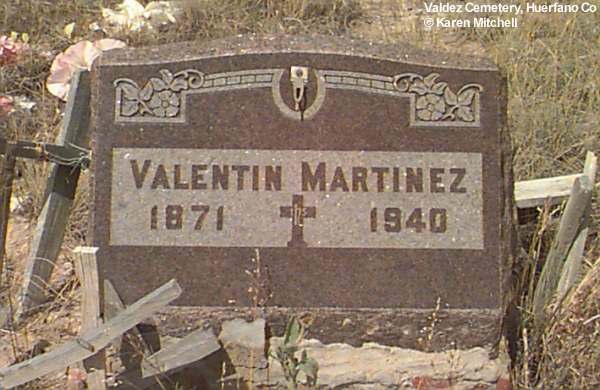 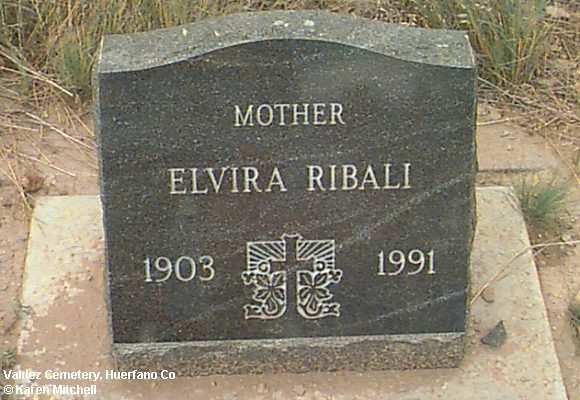 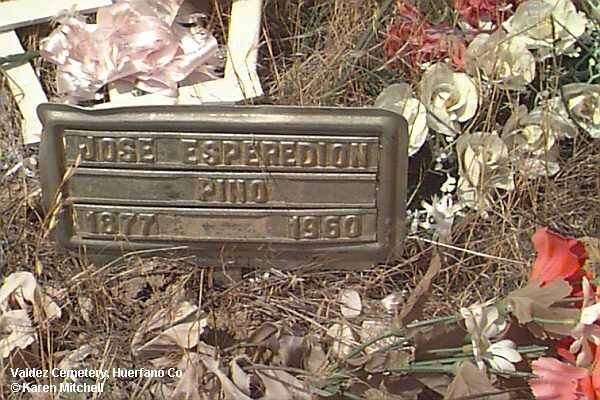 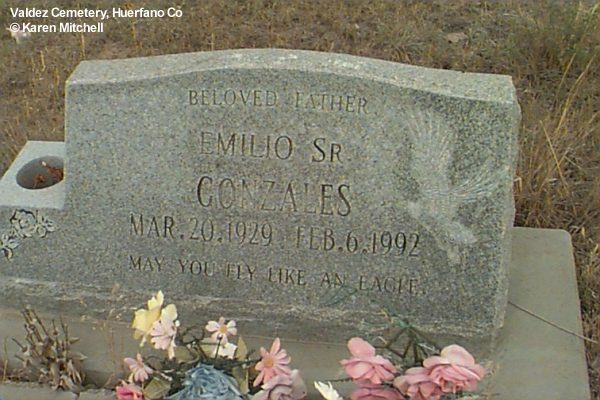 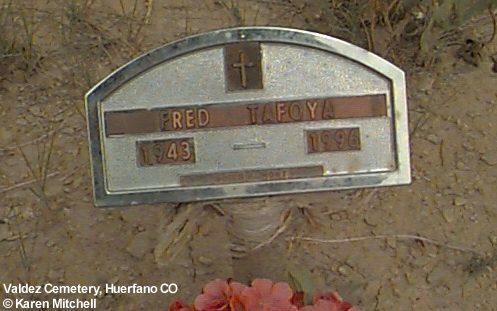 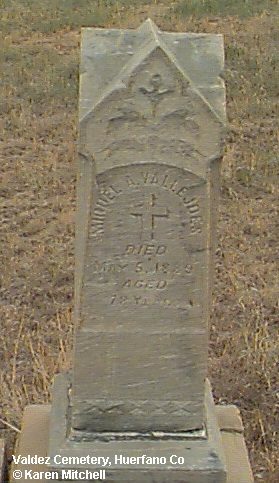 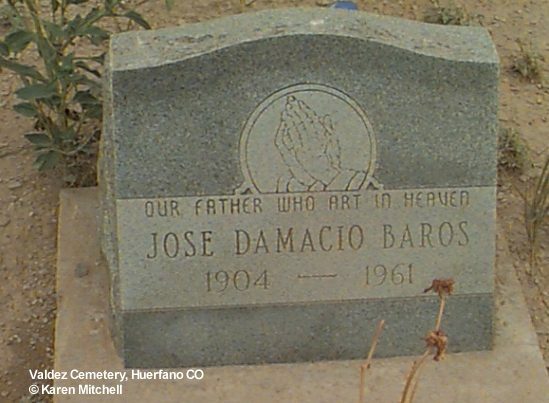 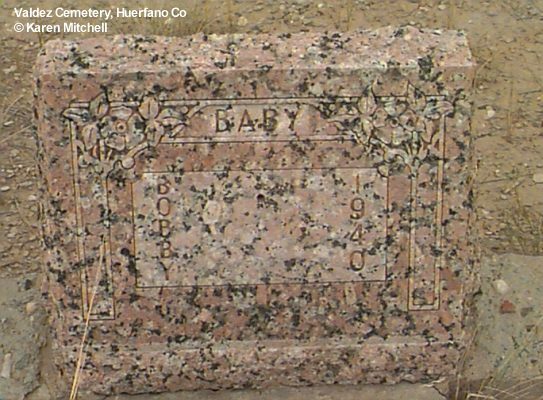 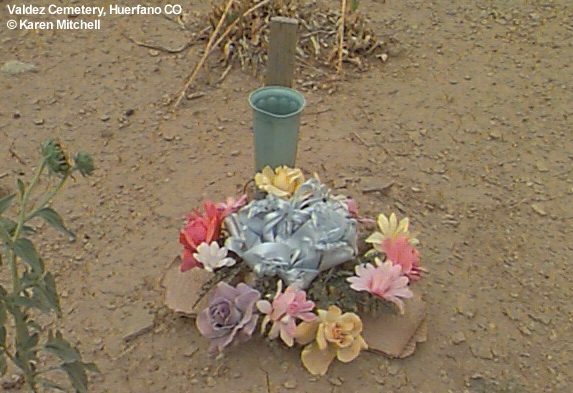 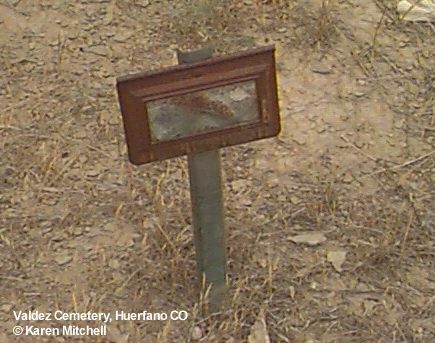 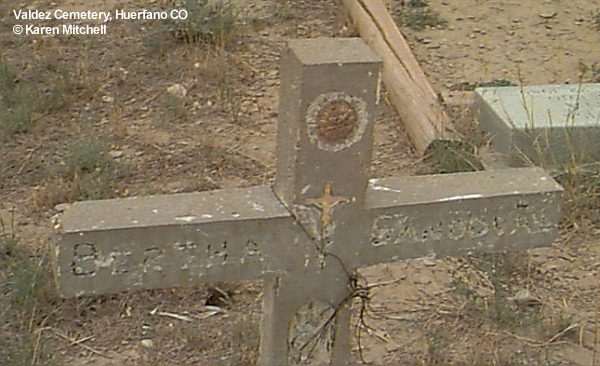 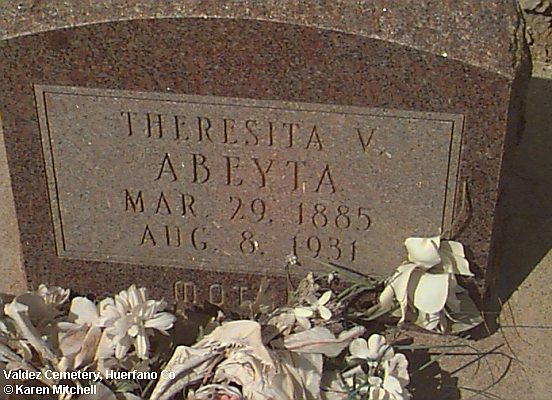 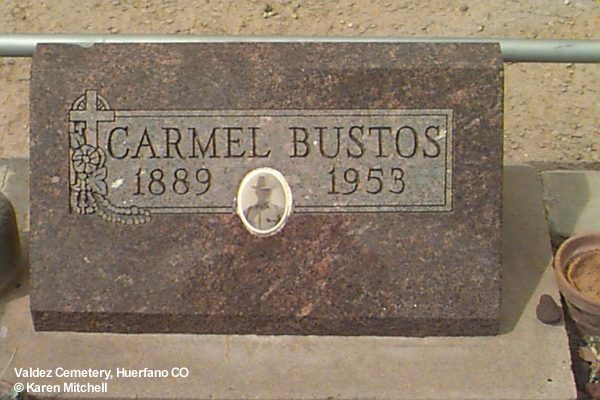 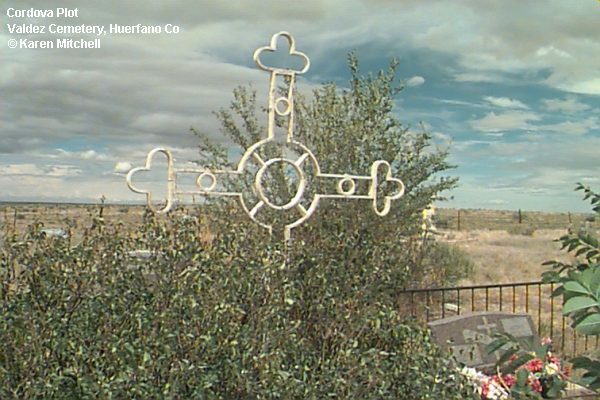 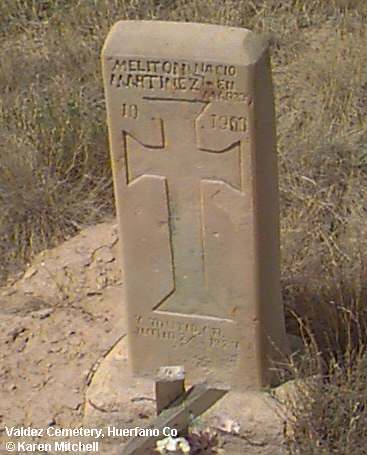 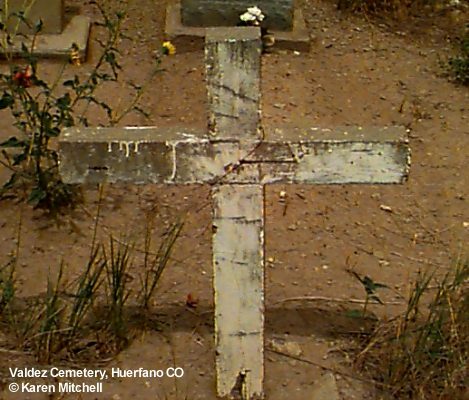 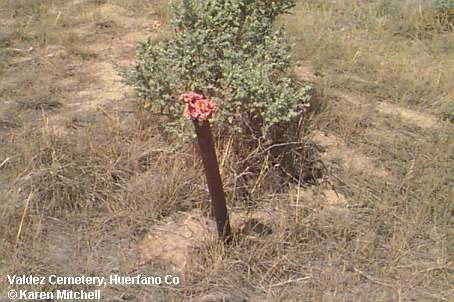 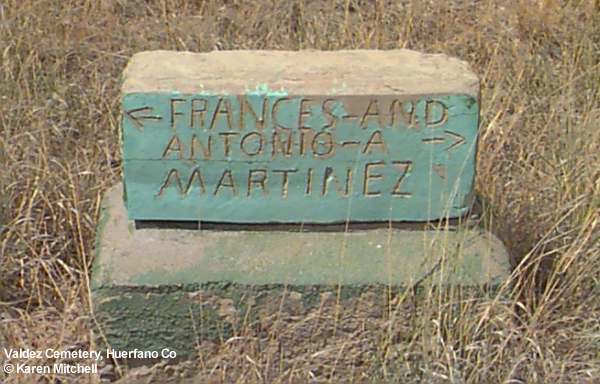 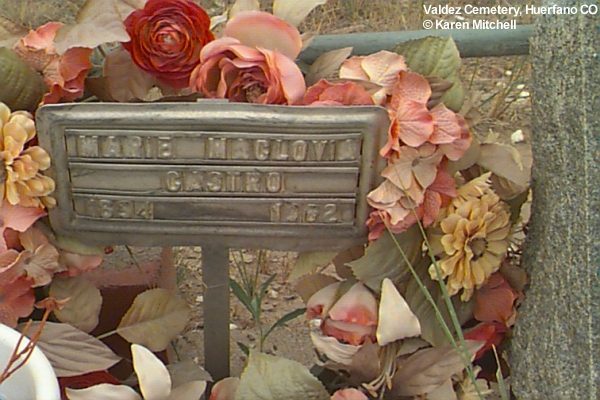 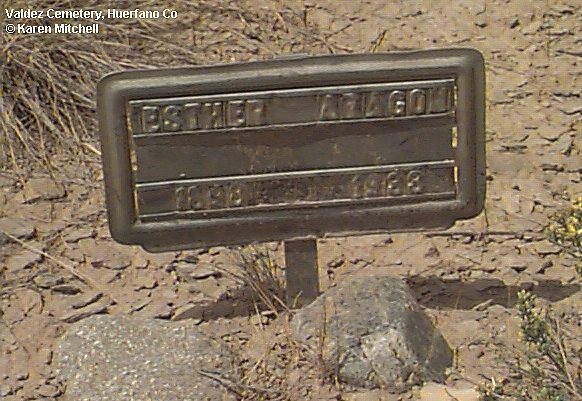 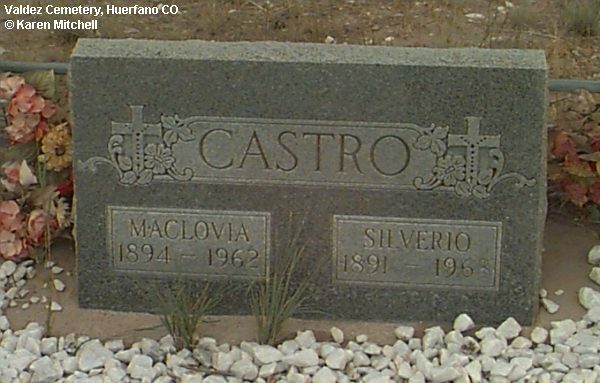 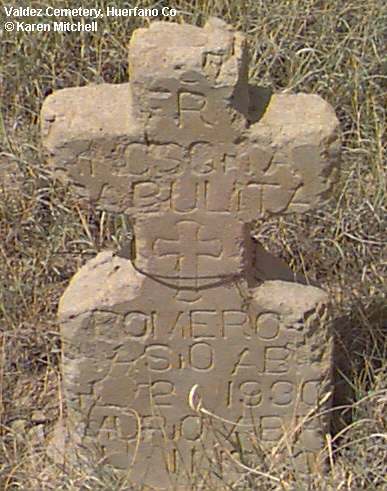 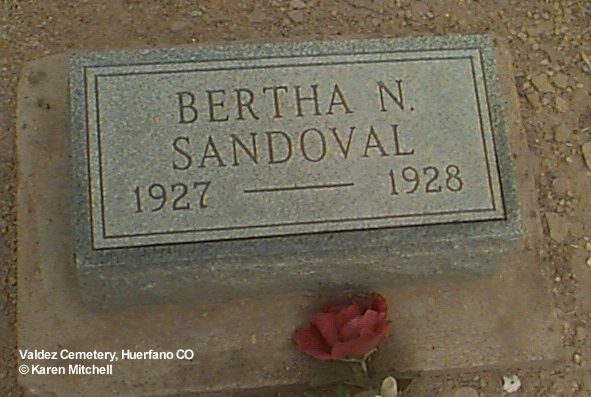 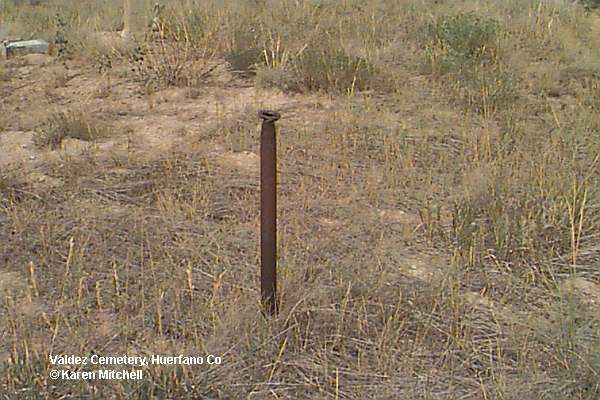 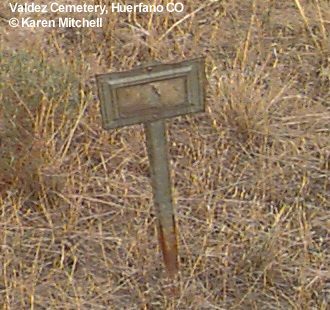 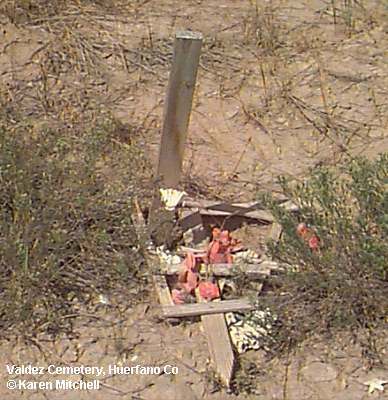 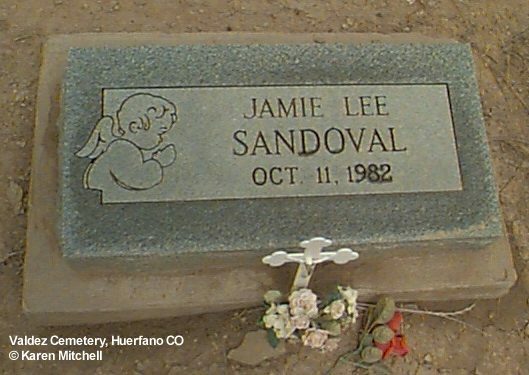 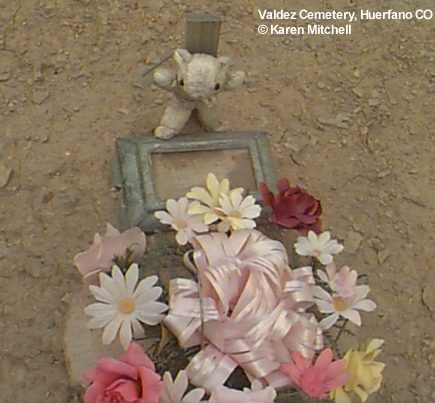 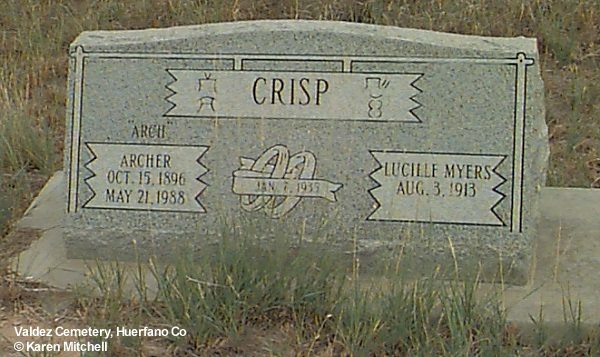 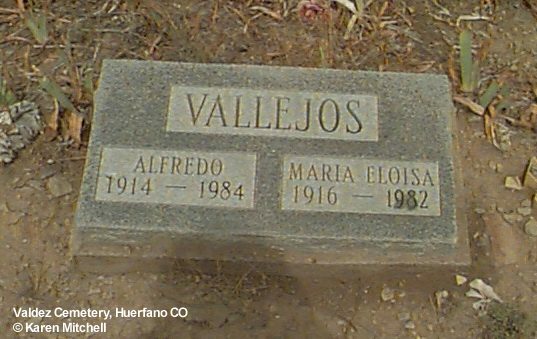 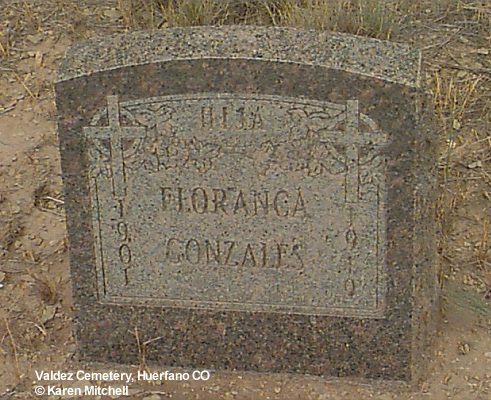 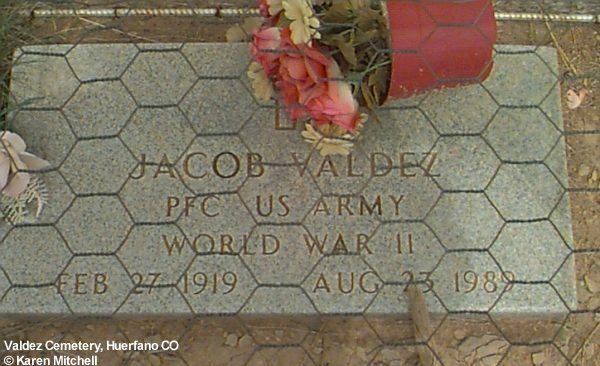 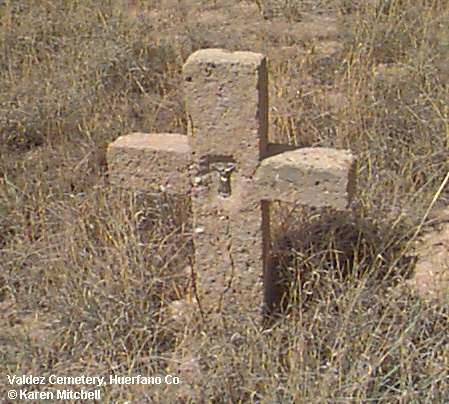 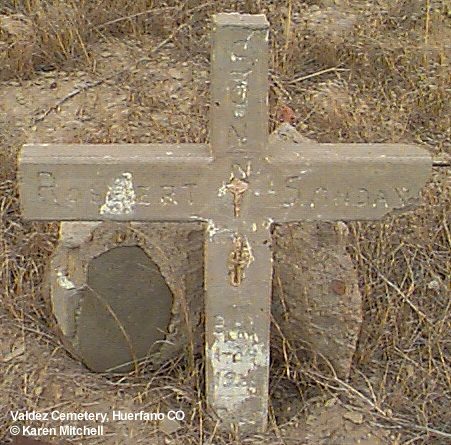 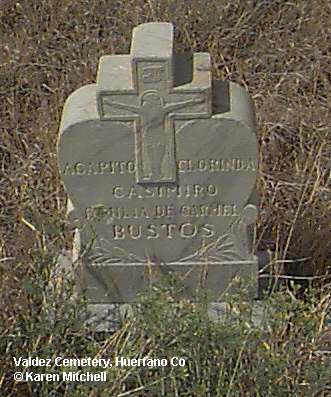 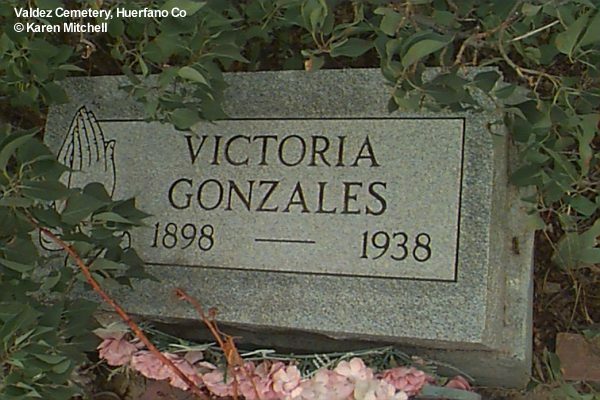 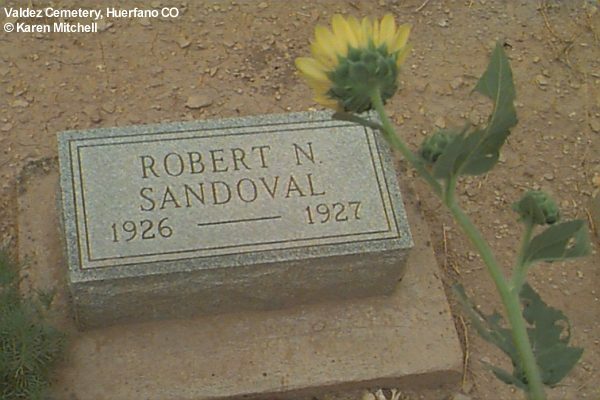 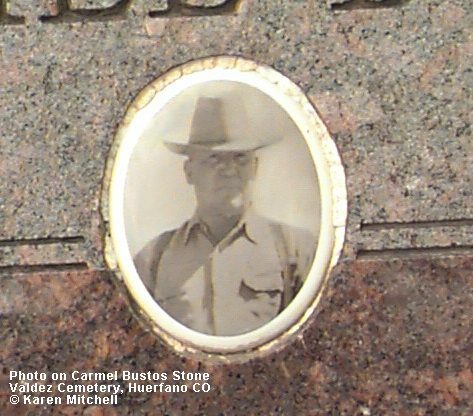 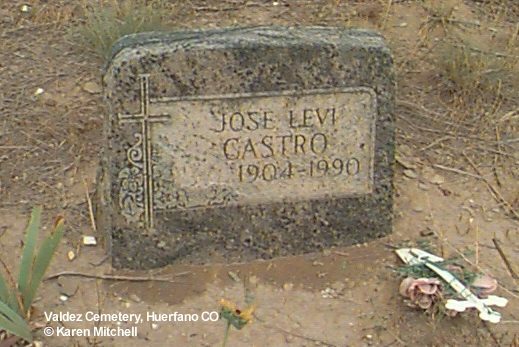 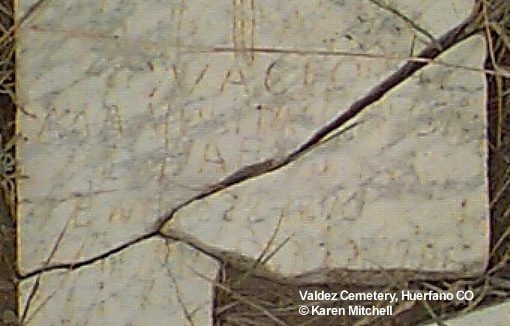 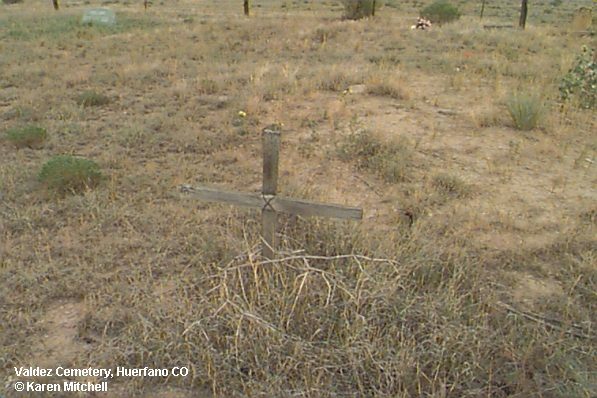 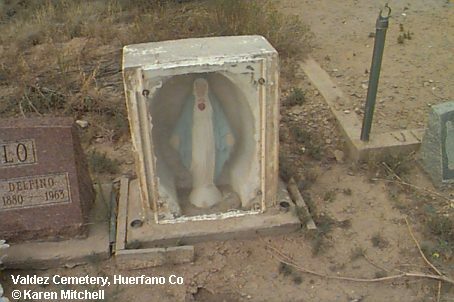 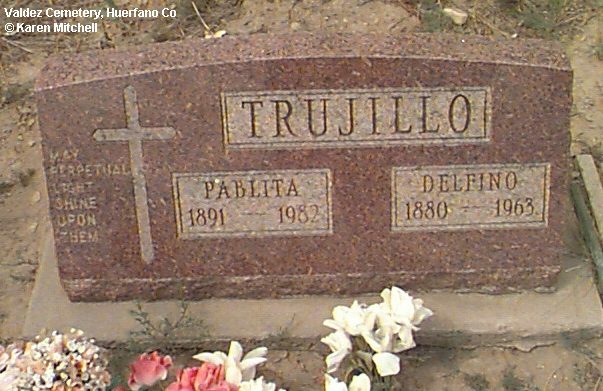 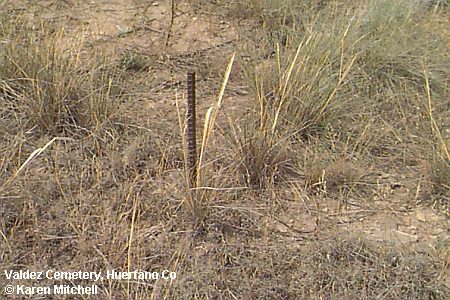 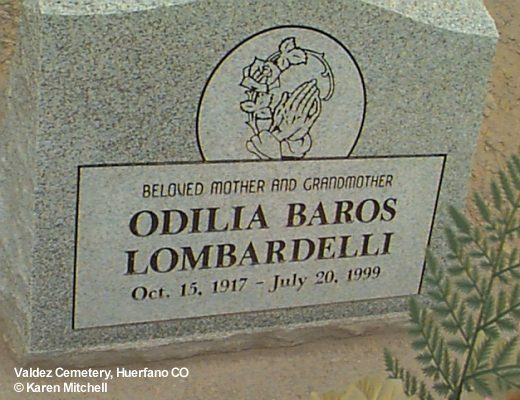 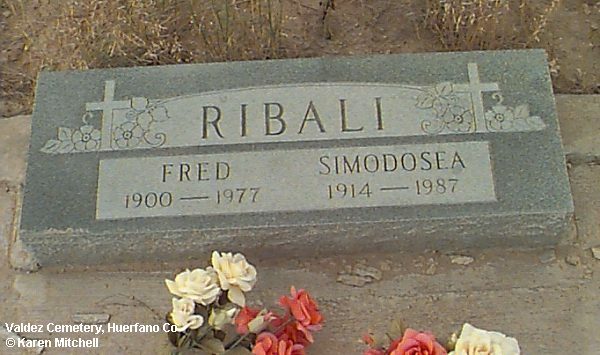 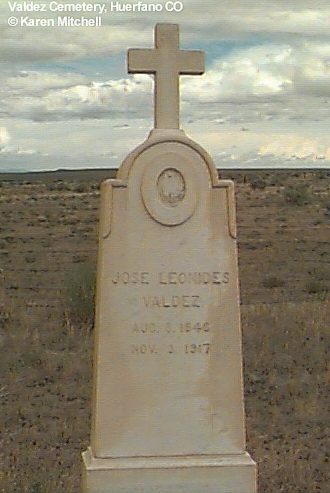 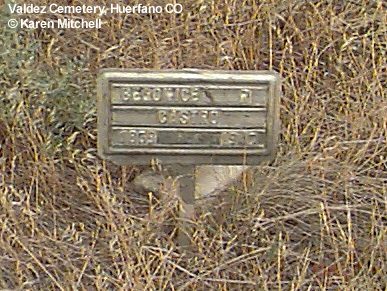 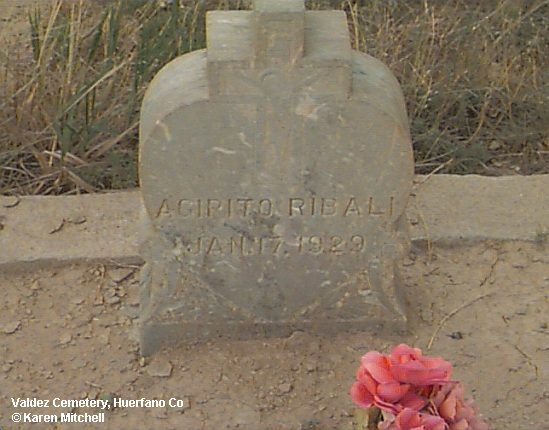 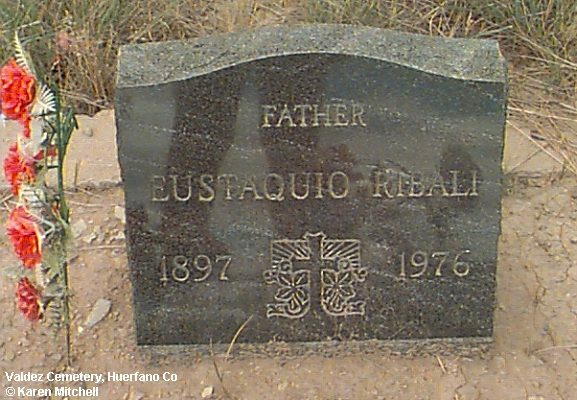 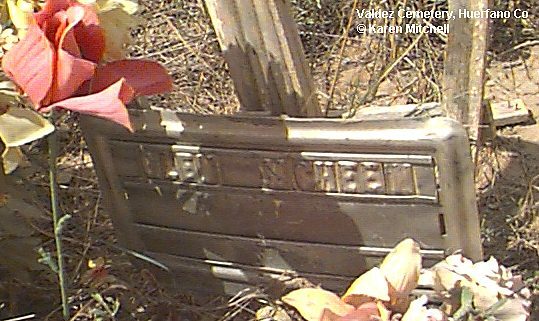 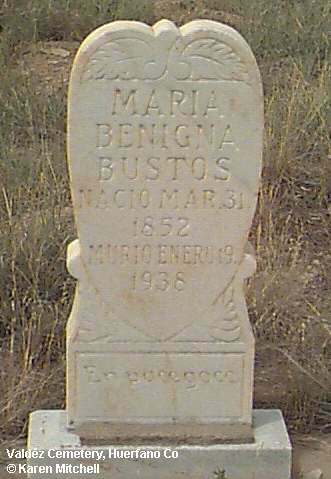 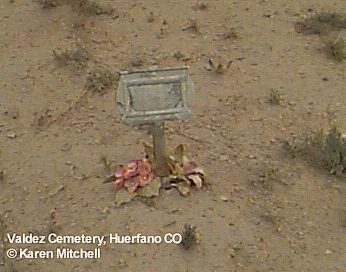 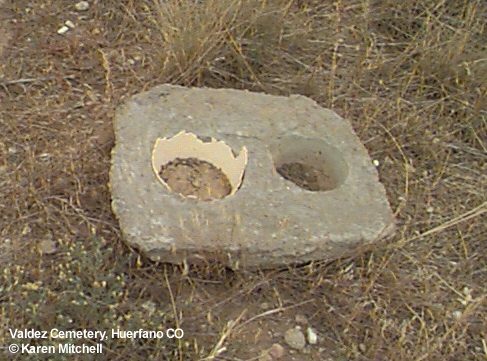 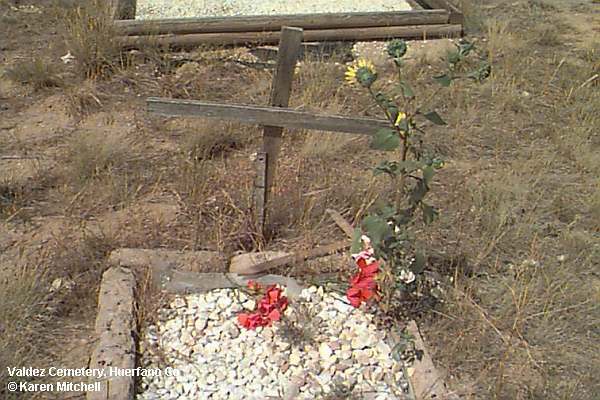 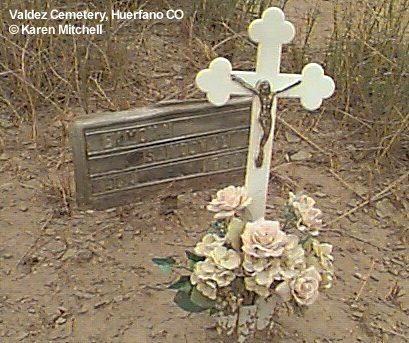 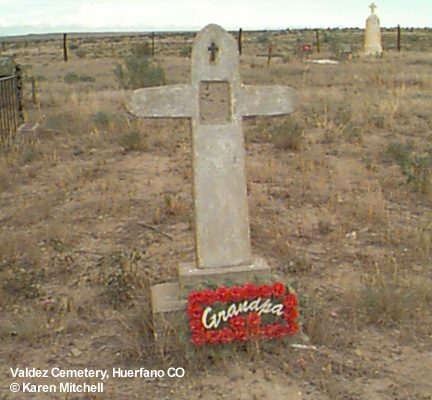 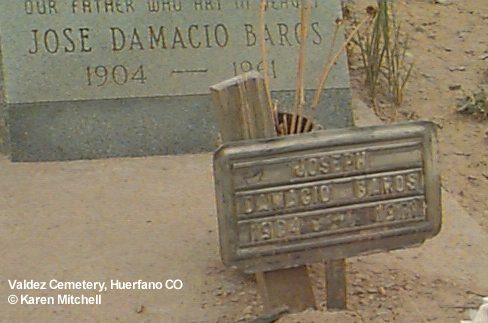 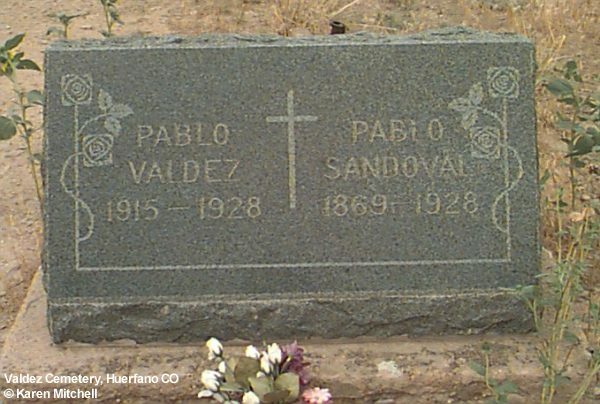 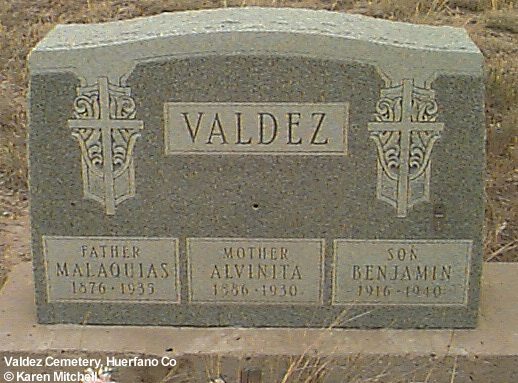 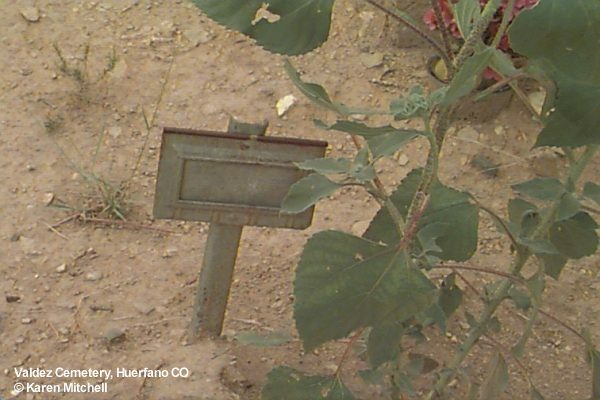 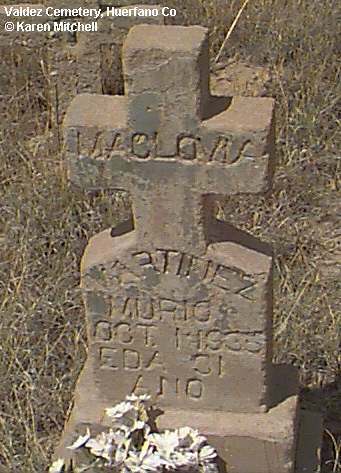 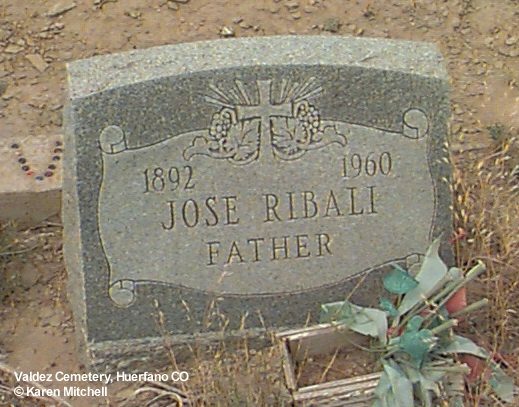 The Valdez Cemetery is located six miles east of Walsenburg on the north side of Colorado Highway 10. 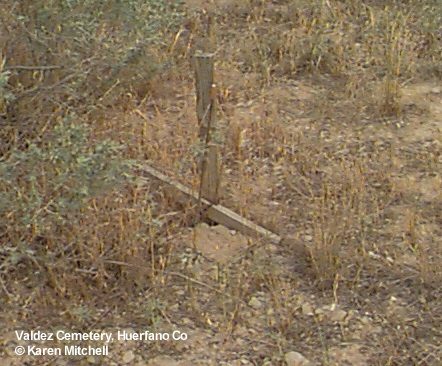 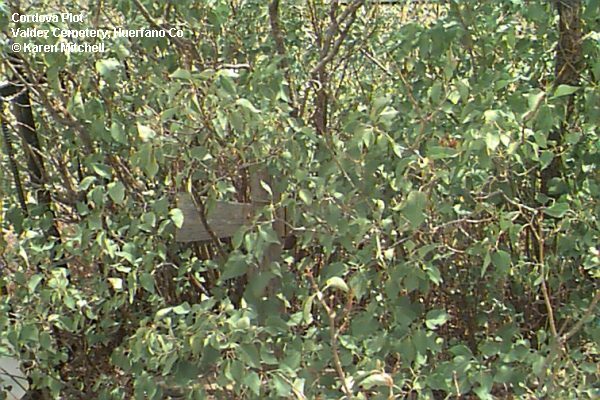 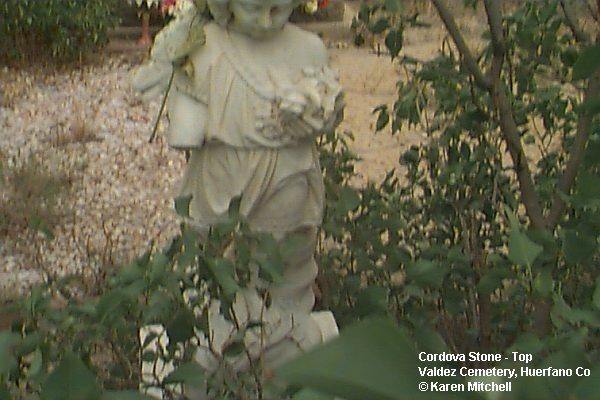 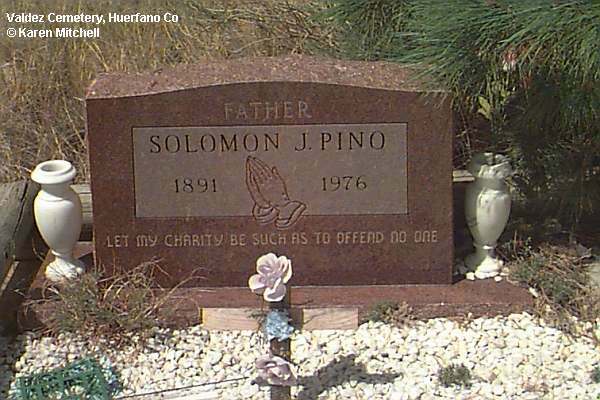 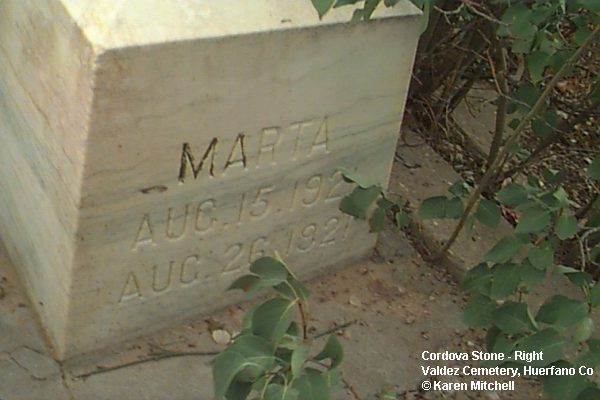 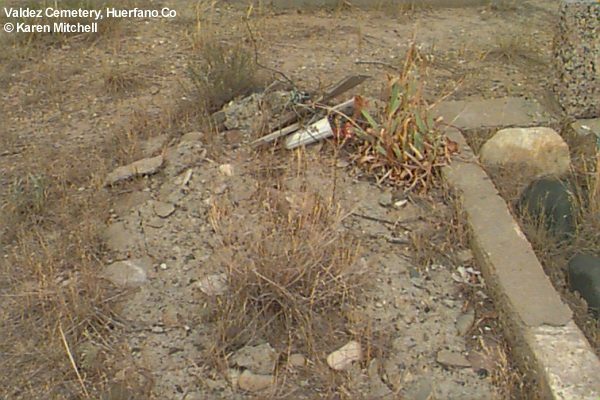 Besides the large number of "unknown" marked graves there are several others that have no marker at all. 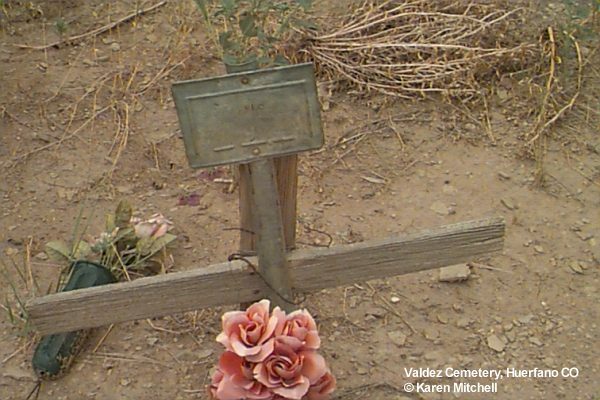 Karen Mitchell (unless otherwise credited). 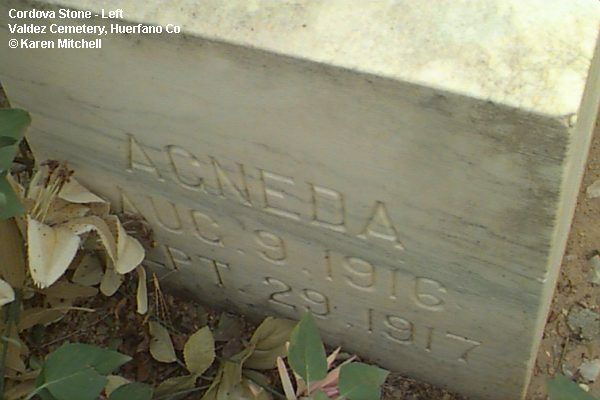 The numbers at the end of the lines of this alphabetical list reflect the order the photographs were taken. 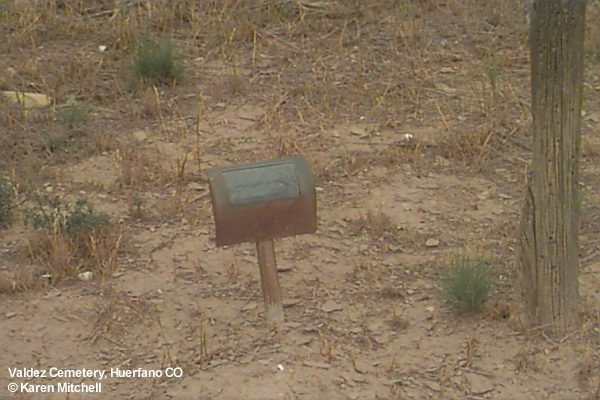 For the most part they could be used for plot numbers in a row-by-row listing. 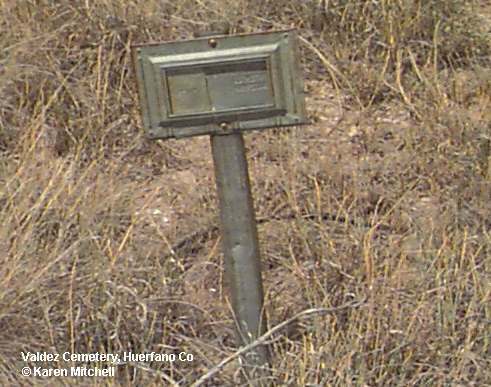 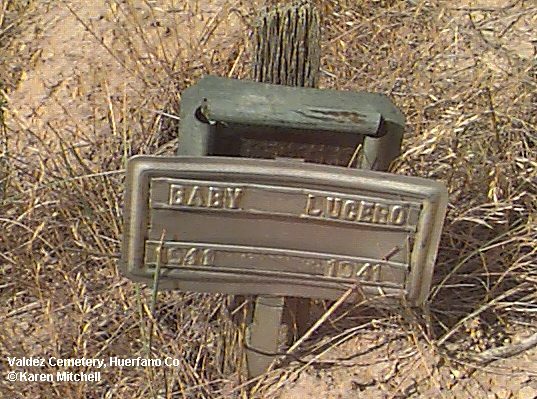 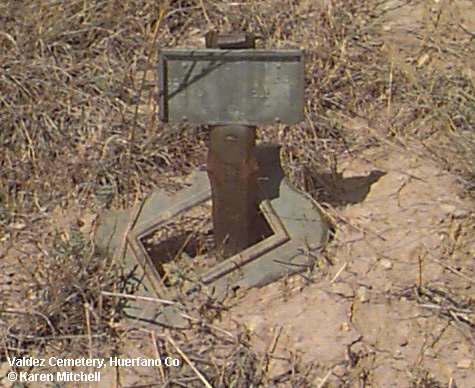 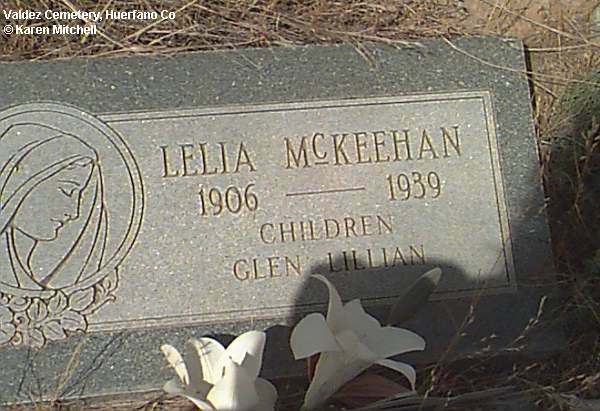 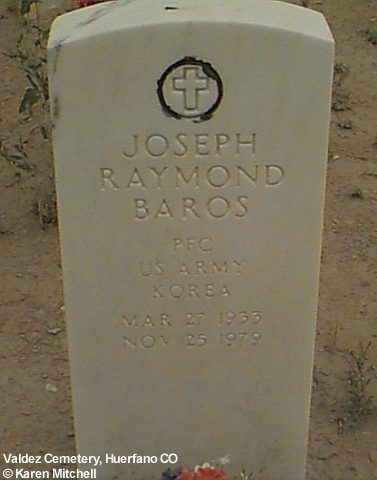 The unknown graves are listed by photograph number. 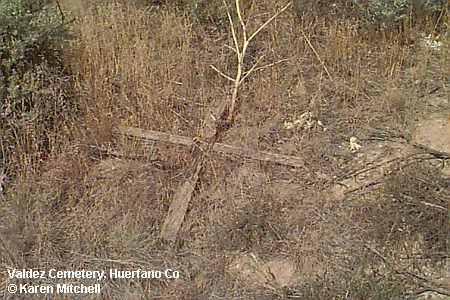 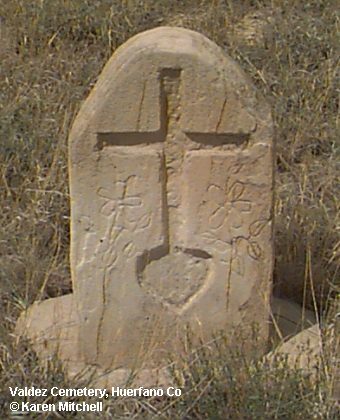 #24 - Dug up broken concrete cross. 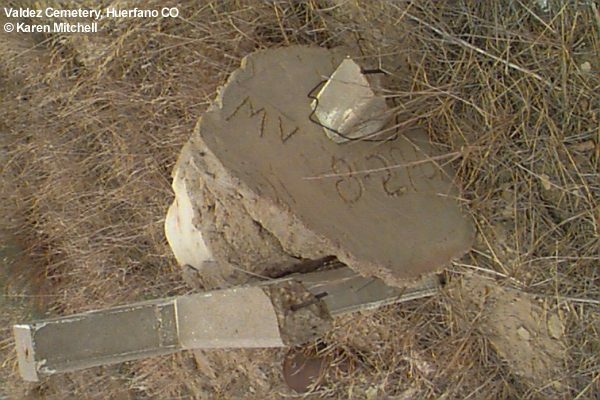 Footing has "M.V. 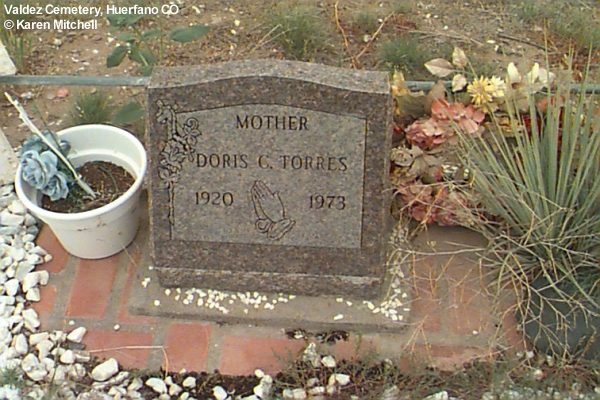 08/29/1964"